LocationSA – Thinking about renovation? Have you thought about doing some “work” around the house to update/improve your home? If your home is more than 10 years old, and still has some or all of its original fixtures, finishes, etc., it’s probably time for some changes. But where to start? And how do you know what to do (or not do) that will be cost effective over the long term? 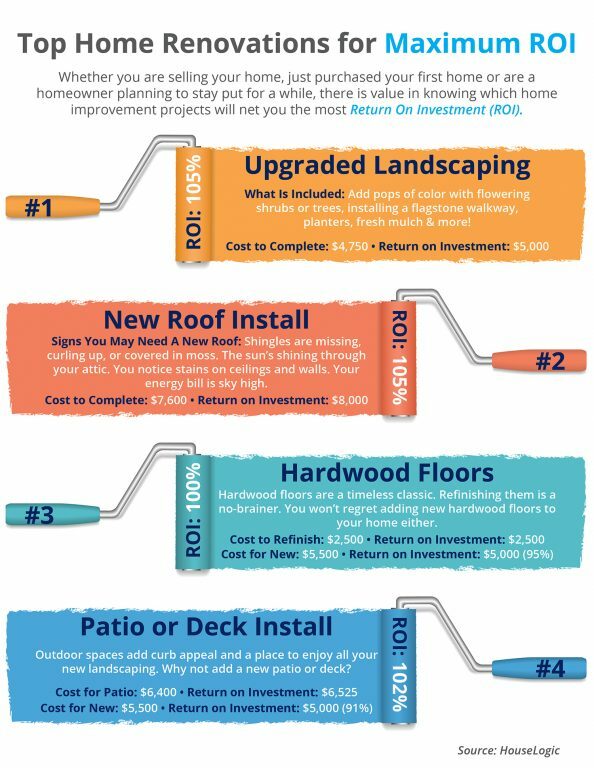 In other words, what projects will give you the best ROI–return on your investment? A lot depends on whether you’re thinking about selling your home and want to show it to its best advantage, or whether you’re planning to stay put, but just want to update/upgrade your space to get maximum enjoyment out of it. But there are several things that will add value to your home, give you pleasure and enjoyment while you’re living in it, and will be most appealing to potential buyers if/when you’re ready to sell. Of course, there are other, less costly, changes and upgrades you can easily make. New fixtures, new lighting, hardware, carpet, paint, countertops, etc., are all great things to install that will instantly change the look of your home and make it more appealing. Many of these are cosmetic upgrades and appeal depends on personal taste. If you’re considering some or all of these cosmetic updates and you’re going to be selling your home soon, be sure to choose more neutral items that will appeal to a wide variety of potential buyers. But the items listed above will be attractive to most any buyer and will add value to your home that will stand the test of time. Thinking about buying a home? Know the lingo!